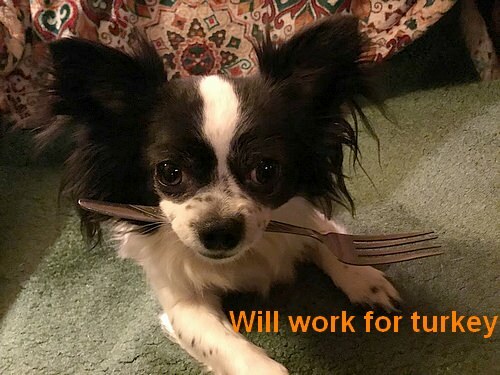 Happy Thanksgiving Pixie, sure wouldn't make you work for turkey. I'd give you mine, if you're allowed! Us here in Canada are over Thanksgiving now, I hope everyone enjoyed a wonderful day, hopefully with peeps they love. Pets too of course!! Pixie is terribly adorable. Aww, looking as cute as ever! Happy Thanksgiving, cutie! 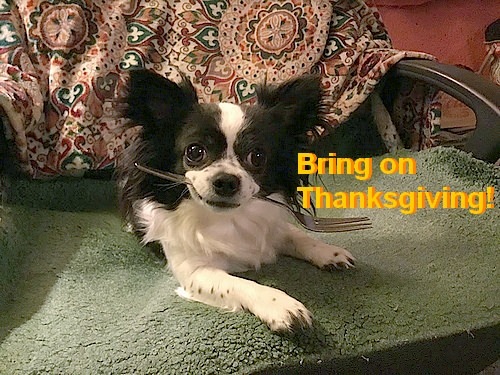 I would happily share my turkey with Pixie if I could! What a cutie!